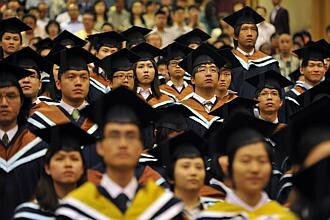 SINGAPOREAN law graduates are being urged to consider a career in the maritime industry. Mr Nicholas Sansom, president of the Maritime Law Association of Singapore, said it offers an entree to a dynamic cluster of international lawyers working in a fast-growing sector. Mr Sansom, who is also a member of the general committee of the Singapore Chamber of Maritime Arbitration (SCMA), was speaking yesterday at the Singapore Shipping Conference 2012. He noted however that Singapore now has an impressive cluster of maritime lawyers from around the world, and that the growing number of maritime firms makes it a particularly attractive location for arbitration. Law Minister K. Shanmugam had indicated last month that the maritime arbitration scene here is growing. Between 2009 and last year, more than 100 maritime-related cases were heard by the SCMA and the Singapore International Arbitration Centre (Siac). The SCMA alone has heard 39 maritime cases since it was reconstituted in May 2009. In the five years prior to that, only five cases were registered. Mr Henry Mytton-Mills, managing director of Aries Shipbroking (Asia) and board member of the SCMA, said: 'When people get married, they don't think of getting a divorce right away, but it is inevitable that some marriages end up in divorce.